Menses Blend : Homegrown Herb & Tea, Portland, Maine. Only the freshest ingredients for an amazing cup of tea. 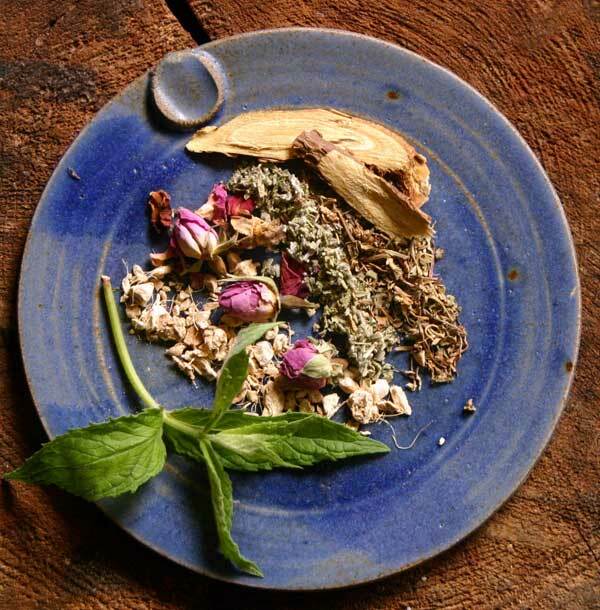 A blend to encourage a more regular menstrual cycle of dong quai, vitex berries, red raspberry leaf, pennyroyal, ashwaganda, damiana and rosehips. Strongly emmanagogueic, these herbs are known for stimulating the menstrual process, and having a balancing and regulating effect over time on an irregular cycle.